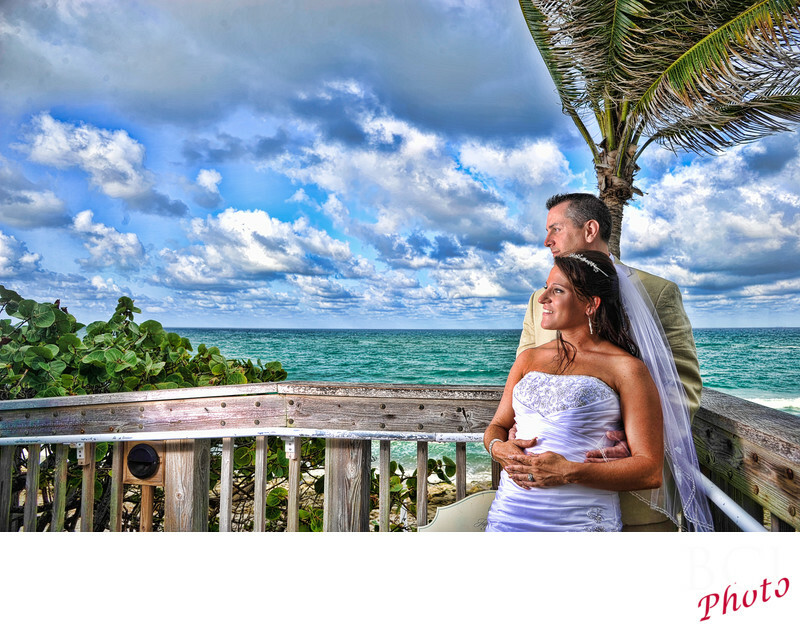 wow what an amazing sky we had for this early wedding portrait session at the jupiter beach resort. We just loved the colors in the water and sky. Of course natural light only photographers would have lost all that by exposing this image for their faces...which would have blown out the much brighter skies and water to white. WHAT WE DID.....was to actually light the couple back up to match the levels of the sky in the background using our dyanamic on location lighting set ups we bring to every wedding. Huge Huge difference in the results.